Thanksgiving Dinner (OR Turkey Dinner) continued…. 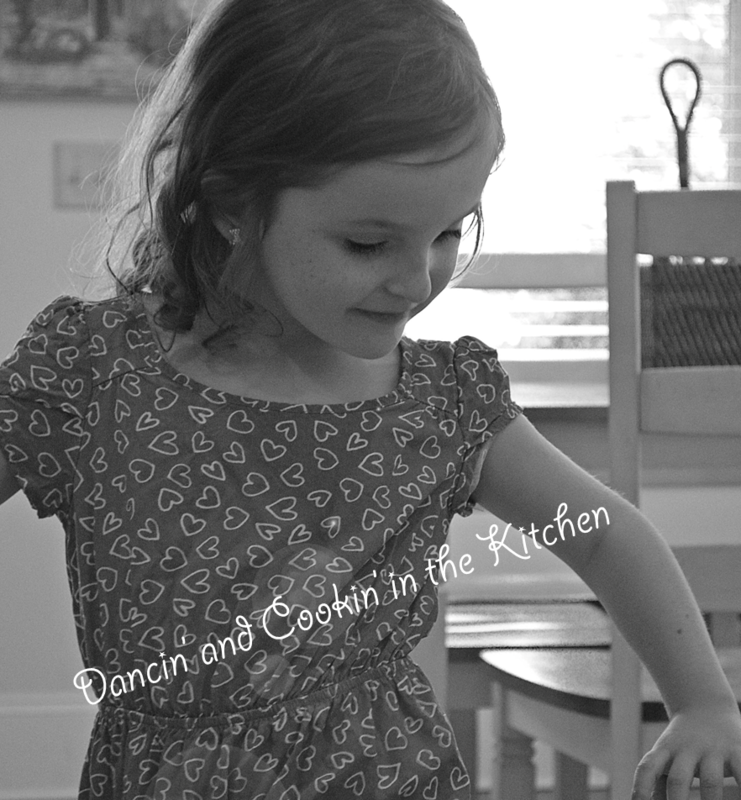 – Dancin' and Cookin' in the Kitchen! Thanksgiving Dinner (OR Turkey Dinner) continued…. 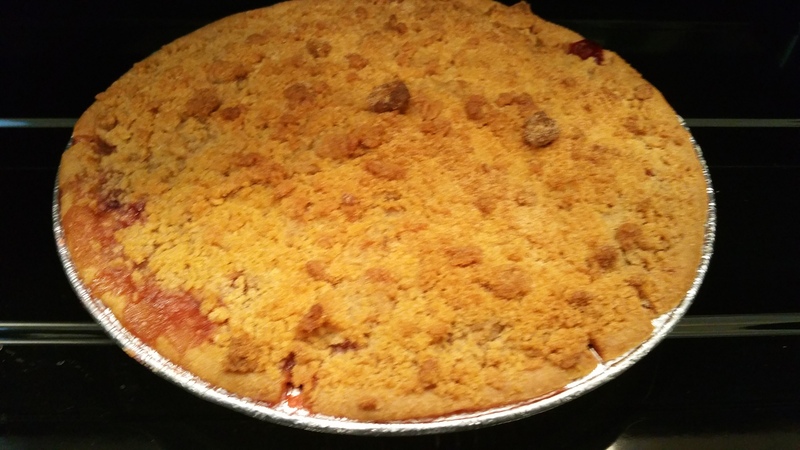 Ok… so we’ve got 3 more dishes from Thanksgiving that I am going to put on here…. there are 2 additional dishes that I don’t have the recipes for at the moment… and I’ll have to get and add to the blog at a later time. Those are 1: Sweet Potatoes and 2: Homemade Rolls. 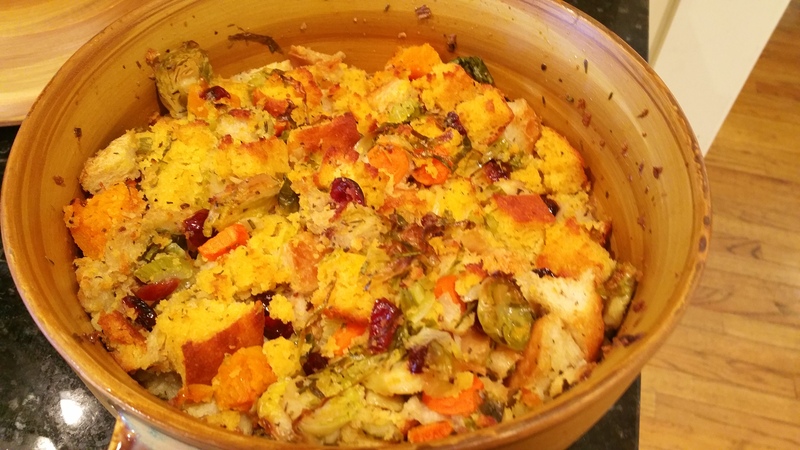 So, moving on… here’s some more Thanksgiving themed dishes… good for anytime of the year, but especially Thanksgiving! 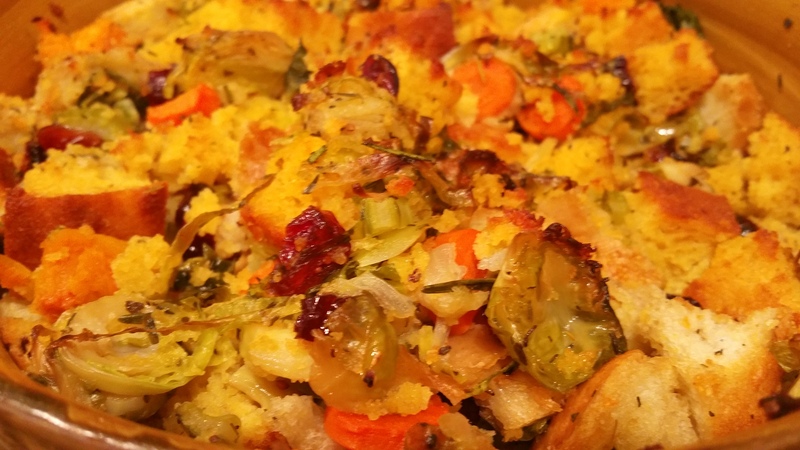 This cornbread is for the cornbread stuffing that will soon follow. Preheat the oven to 400 degrees. Take a round cake pan and use the butter to grease the cake pan. Mix all of the other ingredients together in a large bowl. Pour into cake pan and bake for 35 to 40 minutes until a toothpick comes out clean. Once done, let cool and then cut into large cubes and let dry-out for at least overnight if not 24 hours. Drizzle the Brussels sprouts and butternut squash with olive oil in a roasting pan and roast for 30 to 35 minutes. Meanwhile, warm up a large skillet over medium heat and add the butter. When the butter has melted, add the celery, carrots and onions and cook until soft, 4 to 5 minutes. Pour in the chicken broth, then add the parsley, rosemary, basil, thyme, and some salt and pepper and stir until combined. Cook for a couple of minutes. Get the cooked sprouts and squash out of the oven and reduce the temperature to 375 degrees F.
Place the dried bread cubes into a large bowl and mix them up a bit. 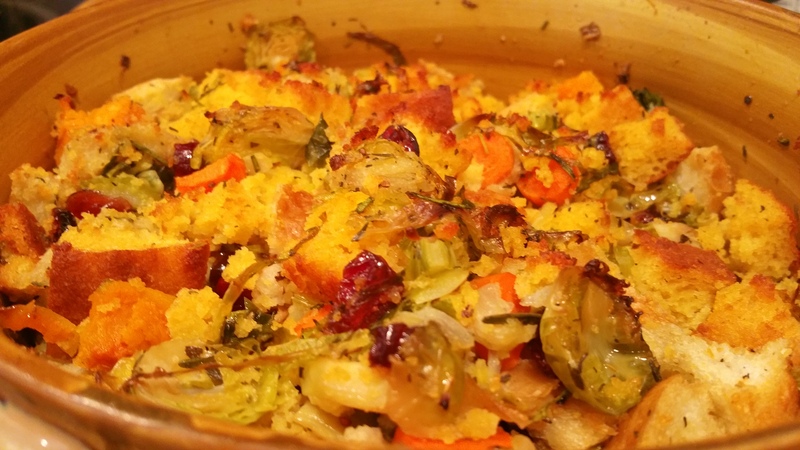 Add the roasted Brussels sprouts, squash and dried cranberries and mix. Gradually ladle the broth mixture into the bread, tossing lightly as you go. Add a little more salt and pepper, then toss around and taste to check the seasoning. If you like it more moist, splash in more broth until it reaches the consistency that you like. Pile the dressing into a large casserole dish and bake until golden brown on top, 20 to 25 minutes. 1 pre-made pie crust in a pie tin thawed and pricked with a fork. Mix all filling ingredients together and place into pre-made pie crust. Then, in a separate bowl, mix together the crumb topping ingredients and use pastry tool to mix until in little “peas”. Spread over top of pie and bake @ 350 for 30-40 minutes until bubbly and golden brown on top. 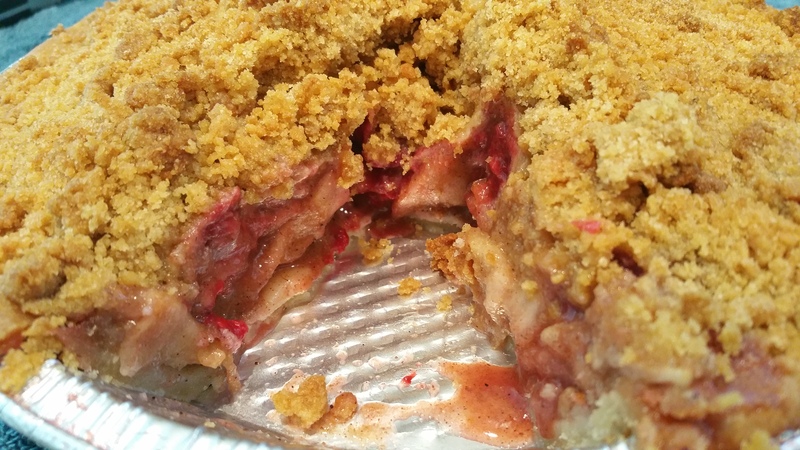 This entry was posted in Dessert, Main Dish, Mid-day and tagged Apples, cornbread, pie, raspberry, stuffing, Thanksgiving. Bookmark the permalink.